Last night, I sketched up a design for the water flow pressure sensor and then printed it out on the Printrbot Simple Metal. Unfortunately, I didn’t make the inside of the mount high enough and had to file away material in order to accommodate the sensor. For the future, I modified the SketchUp model by increasing the height by 2 millimeter from 32mm to 34mm. 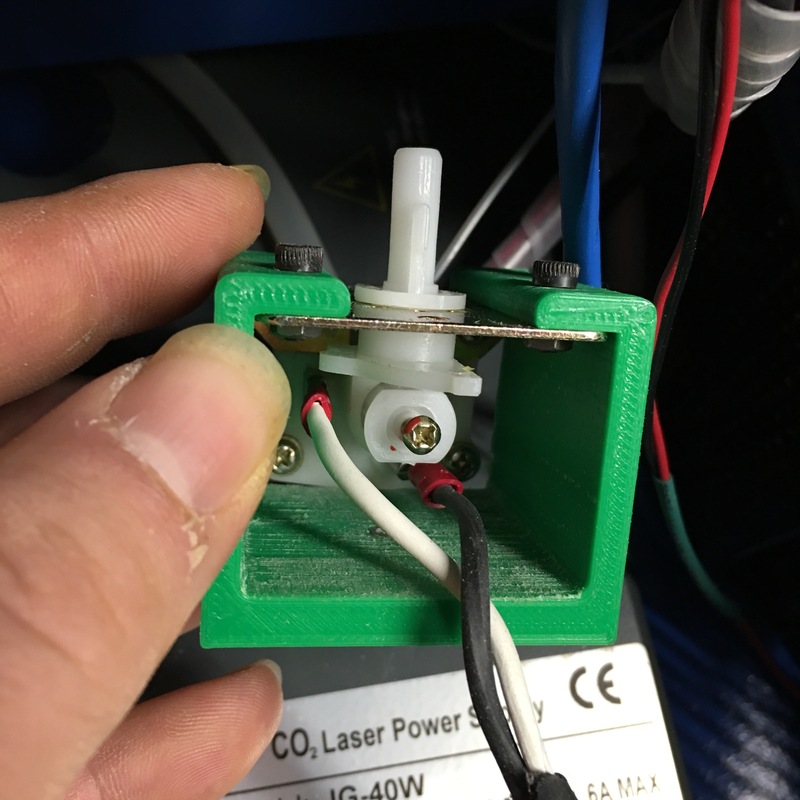 Originally, I had planned to bolt the mount to the floor of the electronics cavity next to the laser power supply, but the mount was pretty and protected and could be left freestanding. Perhaps I will velcro it in place, but it works as is. After work, I stopped in to look for my misplaced Leatherman. I hate when I do that, and no, I didn’t find it. While there, I decided to hook up the Tekpower Digital Multimeter DT9602R to the Ubuntu Linux Laptop at the Electronics Workspace. Sorry, no photos. I forgot to take some. Luckily the laptop is old enough to have a serial port, so no need for a Serial-to-USB adapter. However, the enclosure around the computer end of the cable obstructed the end from being able to be plugged in. Luckily, it can be easily removed, and the cable could now be plugged in. Another design opportunity for the 3D printer. I was also having difficulty connecting to the multimeter with the QtDMM software. However, I fixed that issue by running the program with the sudo command. I need to research how to open the serial port to all users and QtDMM doesn’t need to ran under sudo. 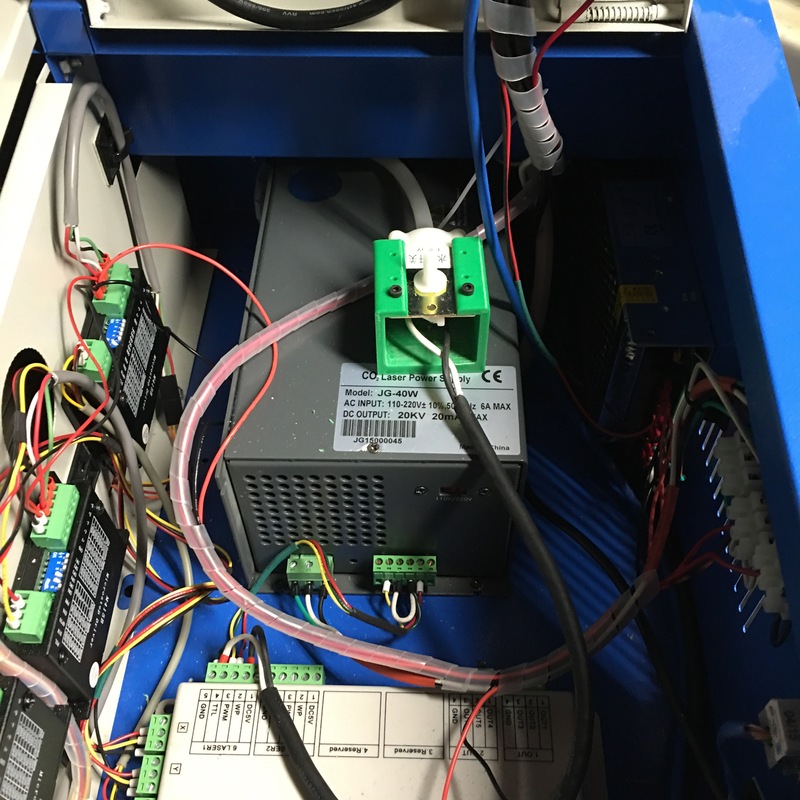 This entry was posted in Shop Log and tagged Electronics Workspace, K40 Laser Engraver and Cutter, Tekpower Digital Multimeter DT9602R by kietcallies. Bookmark the permalink.